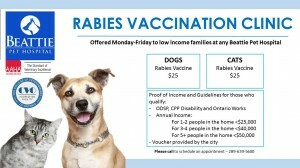 In response to the increase of wildlife rabies in Hamilton and surrounding areas, Beattie Pet Hospital is working in union with the Ministry of Health to offer a low cost Rabies vaccination program to eligible pet families. 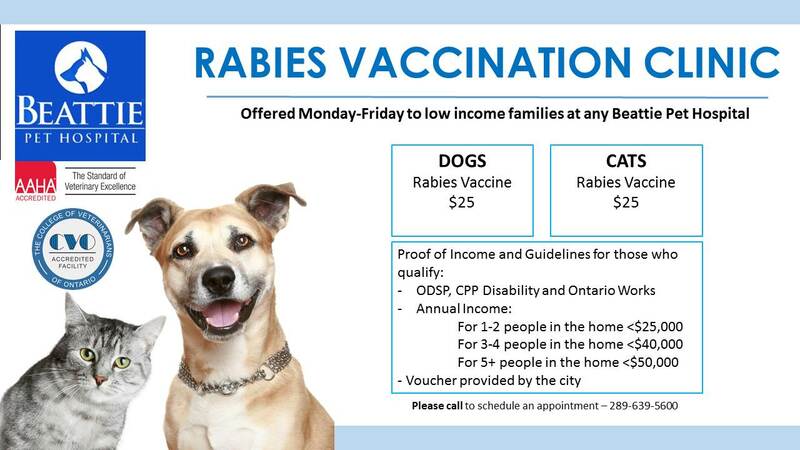 It is offered from Monday to Friday at all Beattie locations starting August 2nd. Please see poster below and call for more details.